What does it take to start a successful sunglasses blog? That’s what many beginning bloggers ask themselves. 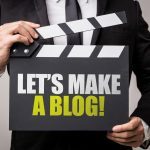 Starting a blog is easy. That’s why there are millions of them. Yet, only a small percentage are successful in getting traffic and monetizing the blog. If you have dreams of starting a blog about sunglasses that is profitable, you should look to other successful blogs for inspiration. 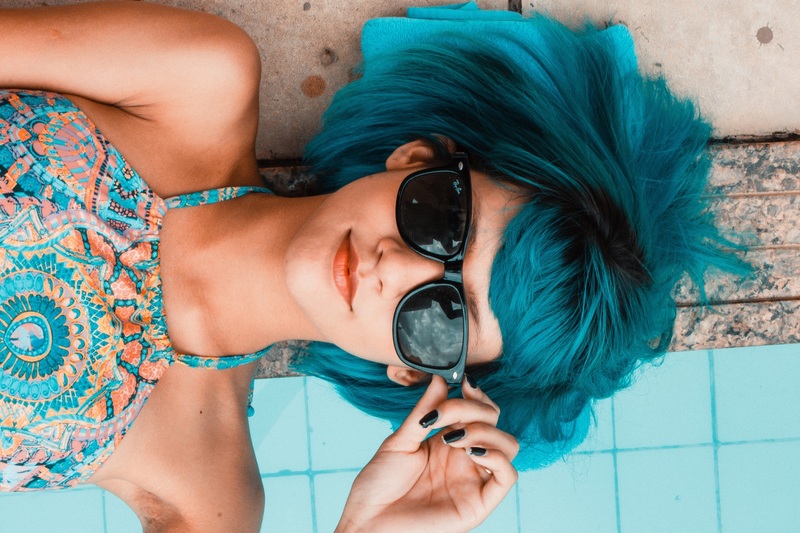 That’s why we compiled this list of the top 10 sunglasses sites to give you the inspiration you need to start your own blog. Read on to find out what they are and how you can get your own successful blog started. The top blogs for eyewear and sunglasses all have a few things in common. They know their audience, and they provide useful content. Check out these top blogs for eyewear that will give you plenty of ideas for your own blog. This is the blog that makes wearing glasses fun. It’s full of fashion and real portraits of girls with glasses. This blog is also a great example of how a blog can be used for influencer marketing. It ties in very well with social media accounts to build up the audience that drives traffic to the blog. 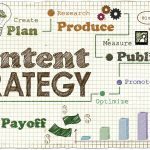 If you plan to use your blog as a point of industry news, you’ll have to check out this blog for inspiration. The design of the blog is simple, and the content addresses various aspects of the optometry industry. You’ll find information about eyewear trends, hiring, and the latest scientific studies about eye health. If you want to show people how sunglasses can be used as the most stylish accessory, this is your blog. Got Shades has articles on how to pair sunglasses with fall outfits or office attire. This is another good example of providing useful content for a particular audience. PopSugar’s Fashion blog has a subtopic just for sunglasses. If you care about what sunglasses celebrities are wearing, this is the blog to read. You can learn all about the best celebrity sunglasses and how to find them. The Optical Vision site is the site to visit for anything industry related targeted towards retailers, optometrists, and any staff members. This is a treasure trove of information to learn how to market your eyecare business, train and manage staff, and how to attend educational seminars. The design on this site is nothing special, as it looks like most other eyewear blogs. The content is what’s valuable and sets it apart. Admit it, you want to know what sunglasses Snooki was wearing at the Jersey Shore reunion photo shoot. If you’ve seen a pair of cool sunglasses on TV and want to know what they were, Shades Daddy is your resource. It’s a creative niche because odds are, most people have seen sunglasses and wondered what type they were. Do you want to know more about the design and style of sunglasses? Optical Vision Resources is the site for you. This site examines different brand partnerships and how design is influenced. You’ll find a lot of information on vision care, and eyewear for every occasion. Some brands do well to capture the essence of their product and brand in their blog. Ray-Ban is an interesting brand, as it’s known for it’s timeless style (think Wayfarers). Yet, the company is trying to stay relevant by reaching a younger audience on Tumblr. That’s great, but do people use Tumblr anymore? The lesson for you: if you’re going to try to be a trendy blog, you have to stay ahead and be willing to be flexible. My Glasses and Me (MGAM) is based in the UK and started as a blog by one person who wanted to share their thoughts on wearing glasses. She added her sense of fashion, and now, the popular blog has become a huge influencer in Europe. Brands reach out to her now for product reviews, sponsored posts, and guest posts on other blogs/brand websites. Revo is another brand blog that shows sunglasses in action. It’s mostly a blog that shows different partnerships and athletes in action. Once you’ve had a chance to take a look at the top blogs, there are a number of valuable lessons you can take from them. Before you start writing your sunglasses blog, you have to know what you want to do with it. Do you want to monetize it? Do you want to be an influencer? Do you just want an outlet to share your thoughts about sunglasses? You want to have absolute clarity as to why you’re writing your blog. 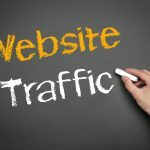 You can also set goals for traffic, how long people stay on your site, and what percentage of visitors sign up to your email list. In order to have a successful blog, you have to know what your audience is looking for. Are they looking for things like fashion trends, what celebrities are wearing, or industry news? The more you know what your audience cares about, the easier it is to write quality content that they will love. If you take the time to look at all of the sites on this list, you’ll notice something. They all kind of look the same. It could be that they use the same WordPress theme. Ideally, you want your design to be clean, easy to navigate, and different from your competitors. You also want your site to be fast since that’s what users want and it helps your site’s SEO. Take a look at LensPure. It’s a great example of a well-designed website that’s fast and easy to use. You can learn a lot from other blogs in your industry. Looking at other sunglasses blogs can give you ideas about popular content as well as ways to differentiate yourself from other blogs. Are you ready to start your sunglasses blog? Take a look at these articles about digital marketing to help you drive traffic to your site.